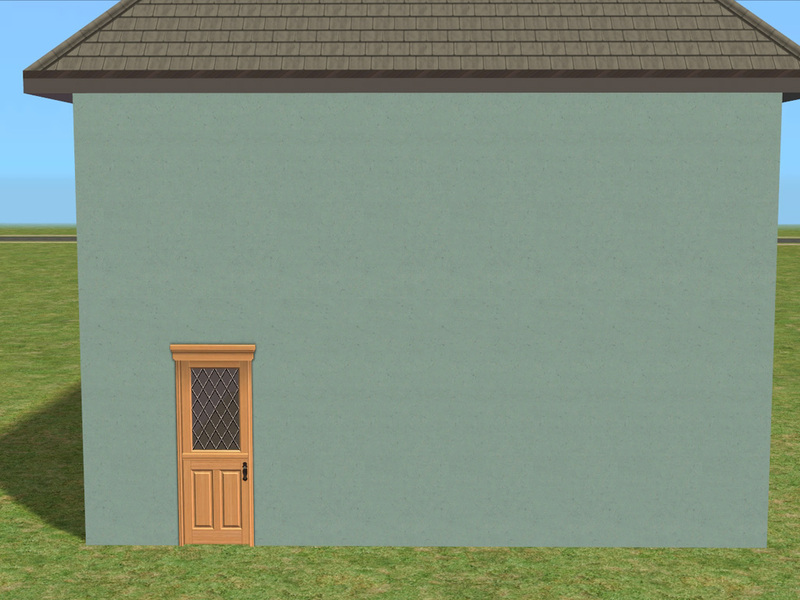 I love building and decorating houses. I especially love decorating with a particular color scheme in mind and having the colours more or less match. I blame the TS3 CAS-tool for that. But what I love even more is combining different textures with the same color or with more or less the same color but different saturation levels. 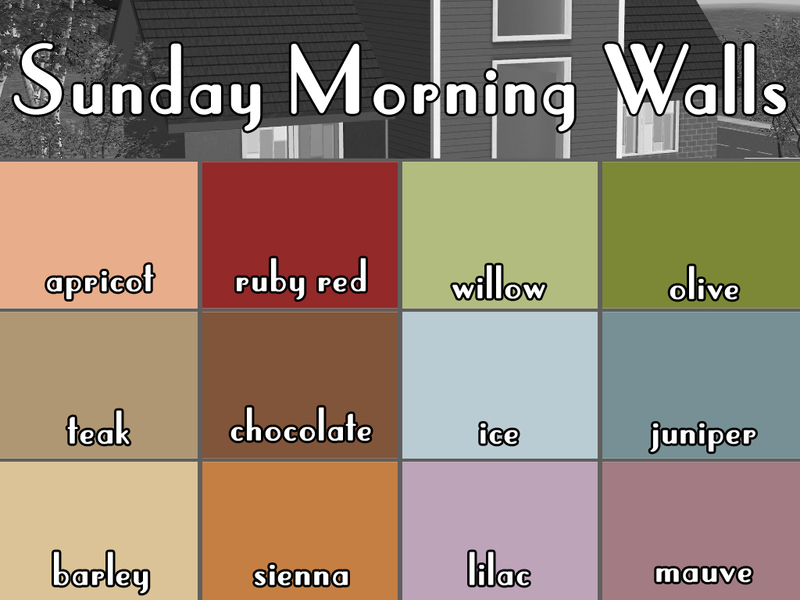 And that's when I found Poppet's awesome True Romance Colour Palette. I used 11 of her colors and added a darker green to make it complete. So what's included? Short story: 72 walls. 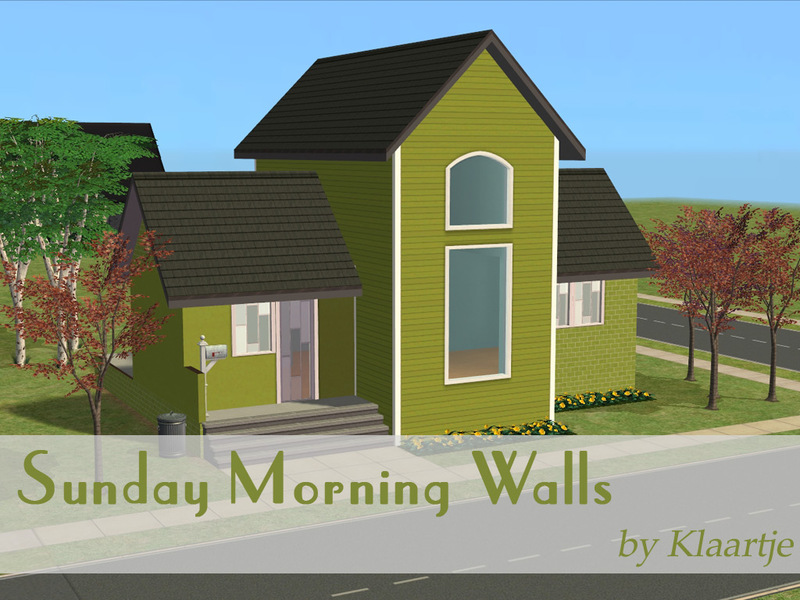 I wanted brick, concrete and horizontal siding in these colours so that's what I ended up doing. They are all horizontally and vertically tileable, because one of my pet peeves about the Holy Simoly concrete is the slight gradient at the bottom. Brick and concrete are both in those 12 colors. 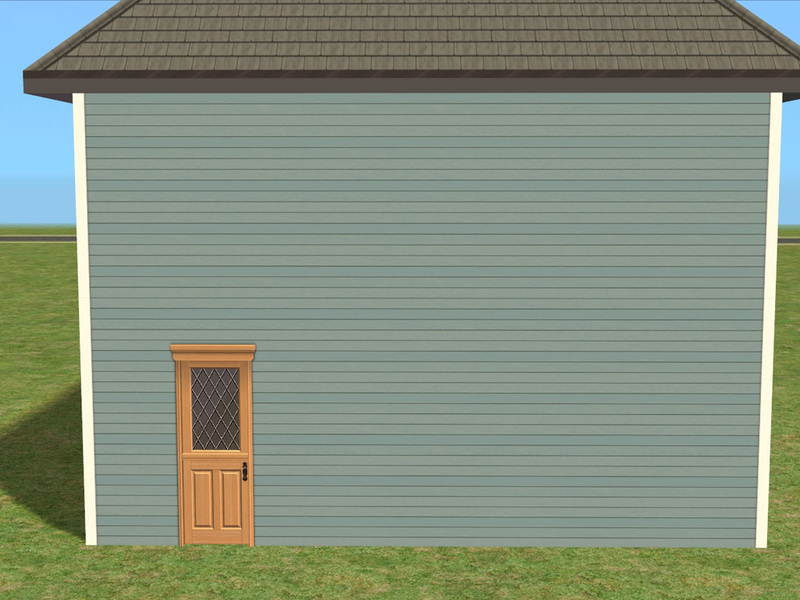 The horizontal siding comes in four flavours: without trim, left trim, right trim and trim on both sides. The brick and concrete both cost §3, and the siding costs §4. Poppet for the original Colour Palette. EA/TS3 for the brick pattern. Wood texture made with Wood Workshop. Great colours - thank you. And I love your preview pics! These look great! Can't wait to check out that ruby red brick in game. Thank you! Nice, nice! Thanks Klaartje! These colours are really delicate.